"HOMAGE TO NATURE" BY CHA YUN SOOK AND HAYEON. Exhibition will be held at BOCCARA ART Brooklyn Gallery, April 6 - 30. Performances: April 6, at 6.30pm & 8.30pm. 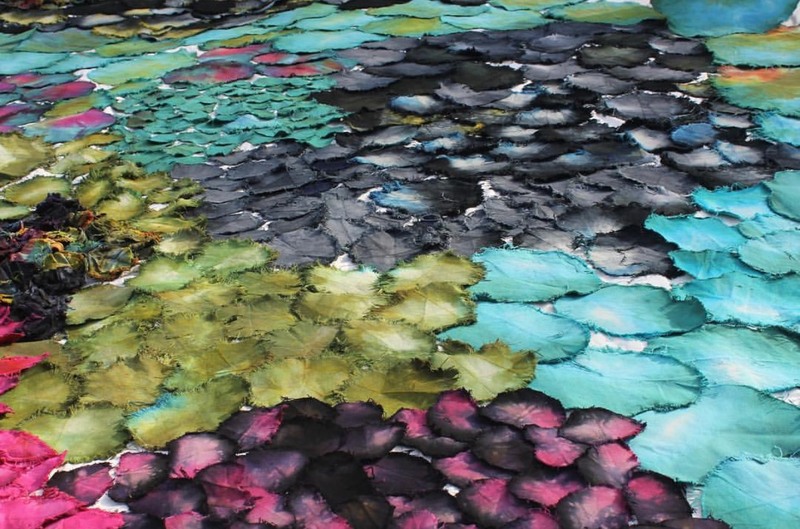 "Cha, Yun Sook creates her artworks as a way of paying homage to Nature. Acutely aware of our civilization’s disregard for Nature, Cha expresses her gratitude to Nature through the mark making process of ink on Hanji paper and textile. 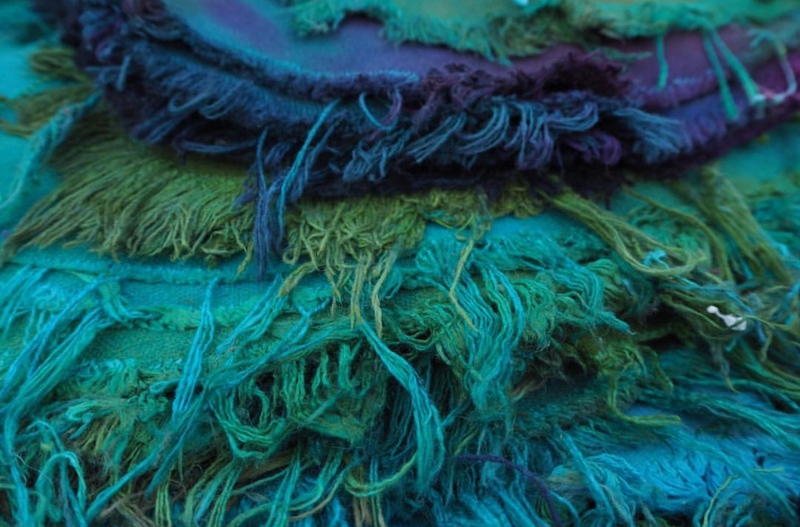 She also celebrates Nature through performance by dressing others in clothes dyed with ink imbued with healing properties meant to lift the wearer’s spirit. In her performance piece, Cha cuts, folds and sews pieces of fabric to drape over a model to complete a one-of-a-kind piece. 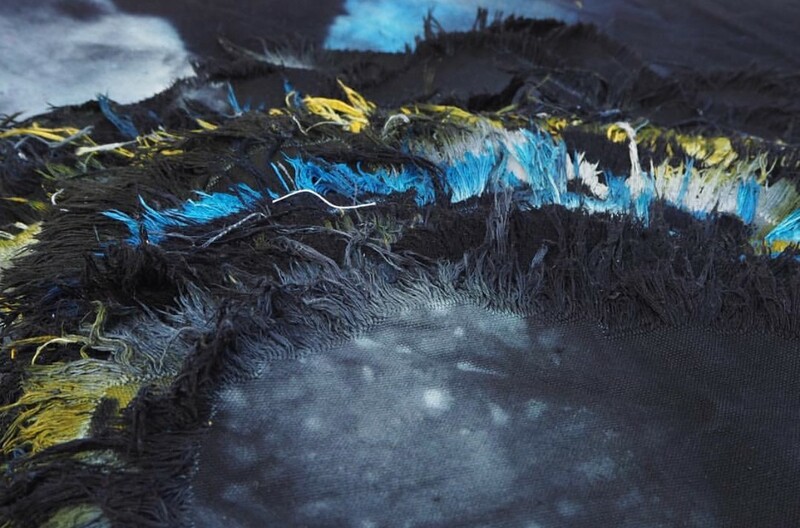 She will interact with audience members by sharing strips of fabric that can be worn or carried as a reminder of our connection to the natural world." Exhibition presents works by Feng Lianghong, Fu Wenjun, Wr.Andy Tam and Hyun Ae Kang. Taking into account ancient traditions and contemporary customs, these artists explore the contemporary mysticism ingrained within their respective cultures while also addressing the various cultural phenomenons that inform them. Fu Wenjun’s work can be described by his term Digital Pictorial Photography, which he uses to redefine the fundamental traditions of photography. By blending elements of other artistic mediums into the process, he creates an original form of aesthetic pleasure. Fu Wenjun embraces a range of mediums, combining them into unique works that extend beyond the mere act of recording photographic images. Mr. Andy Tam investigates the history of traditional Chinese ink art and the ancient narrative of the Liang Dynasty from which these paintings emerge. The notion of Rain Flower stones come from a story in which a Zen Master created a mantra so powerful that flowers rained down from heaven and subsequently became Rain Flower stones. These stones are known for their beautiful patterns that take millions of years to form, and often appear as flowers, beautiful landscapes, and the cosmos. Lianghong Feng produces lush abstract paintings inspired by a heady mixture of ancient Chinese philosophy, calligraphy, and Eastern and Western art history. He covers his canvases with beautifully complementary passages of color and all manner of marks, including paint-laden brushstrokes; thin, sketchy scribbles; drips; daubs; and splatters. He often begins with a naturalistic landscape, which he then partially obscures with an overlay of his abstract marks. Feng both refuses and accepts categorizations of his work—a Zen-like position that acknowledges our natural inclination to define works of art in concrete terms, while also insisting upon the freedom to approach his practice with originality and without preconditions. 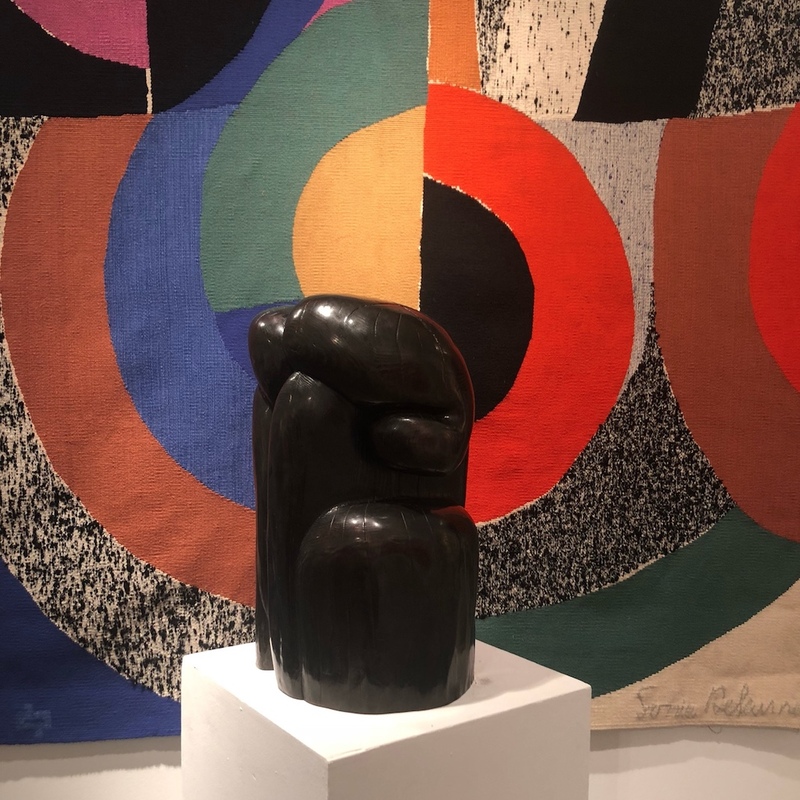 BOCCARA took part at the 29th edition of Art Miami Fair, December 4-9 at One Herald Plaza at NE 14th Street On Biscayne Bay in Downtown Miami, presenting works of Sonia Delaunay, Jim Dine, Wang Keping, Benjamin Shine, Jules Olitski, Francois Calvat, Hyun Ae Kang, Fu Wenjun, Gianfranco Meggiato and Simone Peulpin. 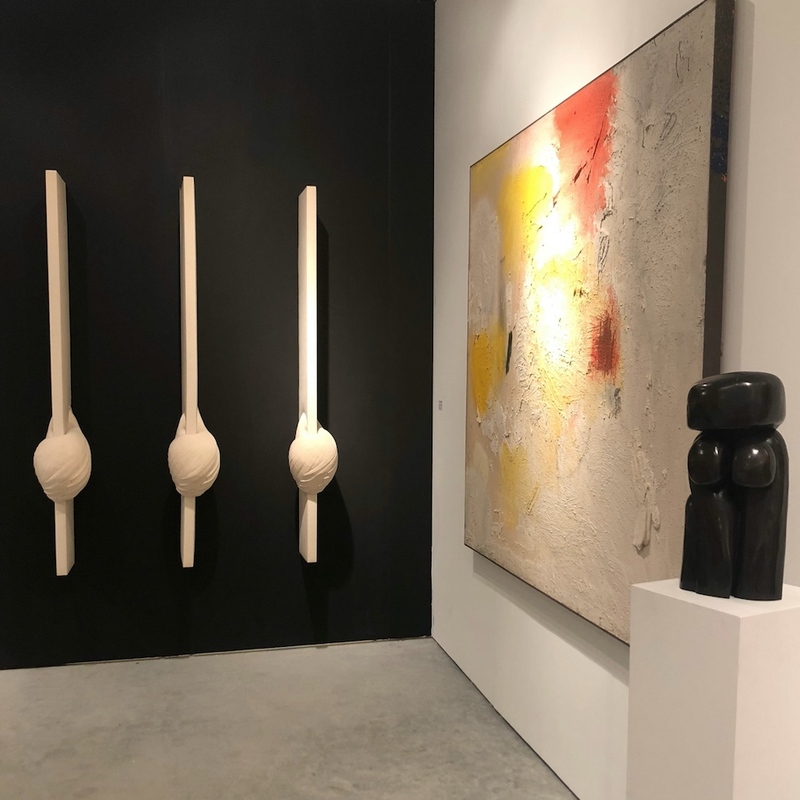 Art Miami maintains a preeminent position in America's modern and contemporary art fair market and is globally recognized as a primary destination for the acquisition of the most important works from the 20th and 21st centuries. "PEACE IN CHAOS. A LOOK INTO CONTEMPORARY KOREAN AND CHINESE ART"
This upcoming exhibition highlights the works of Hyun Ae Kang and Fu Wenjun, two seemingly different artists that are united by one critical element: their ability to synthesize influences and experiences from both the East and the West. Hyun Ae Kang is an important Korean artist who began her artistic career in sculpture and later transitioned into painting, an aspect of her work which can be seen through the tactile markings in her paintings. She often utilizes vibrant colors with layers of carefully applied paint to create works which ultimately serve as reflection of her deeply personal and spiritual meditations. Her work has been exhibited in numerous locations, including Miami, Palm Beach, Palm Springs, New York, Anaheim, and Japan. Her work resides in the permanent collections of the Art Museum of Seoul and the Brea Museum and Historical Society. Fu Wenjun is a revolutionary artist based in Chongqing, China, whose work reflects on the various dichotomies presented in Eastern and Western cultures, including notions of culture in an age of globalization, traditional Chinese culture in a rapidly changing society, and the effects of industrialization and urbanization in Chinese cities. By utilizing a unique process which he calls “digital pictorial photography”, Fu is able to merge together aesthetics from both the East and the West to create images which are striking in their ability to transcend categories and traditions. Fu’s work has been exhibited all over the world, including but not limited to, Museu Europe de Arte Monaco, Barcelona; National Art Museum of China, Beijing; Old Summer Palace Museum, Beijing; Today Art Museum, Beijing; United Nations Headquarters, New York City; and Guangdong Museum of Art, Guangzhou. His work has also been collected by various organizations all over the world, such as Museu Europe de Art Moderno, National Art Museum of China, Today Art Museum, Old Summer Palace Museum, Tokyo Metropolitan Art Museum, Kennedy Family Collection, World Council of Peoples for the United Nations, Dazu Grotto Museum, Chongqing Art Museum, Guangdong Museum of Art, Société Nationale des Beaux Arts, and the Ahmed Shawki Museum. BOCCARA ART’s aesthetic and style sensibility became recognized by its clients and brought to creation of a new department - BOCCARA ART Design. BOCCARA ART Design specialise in bestoke and high-end decoration of villas, yachts and jets. 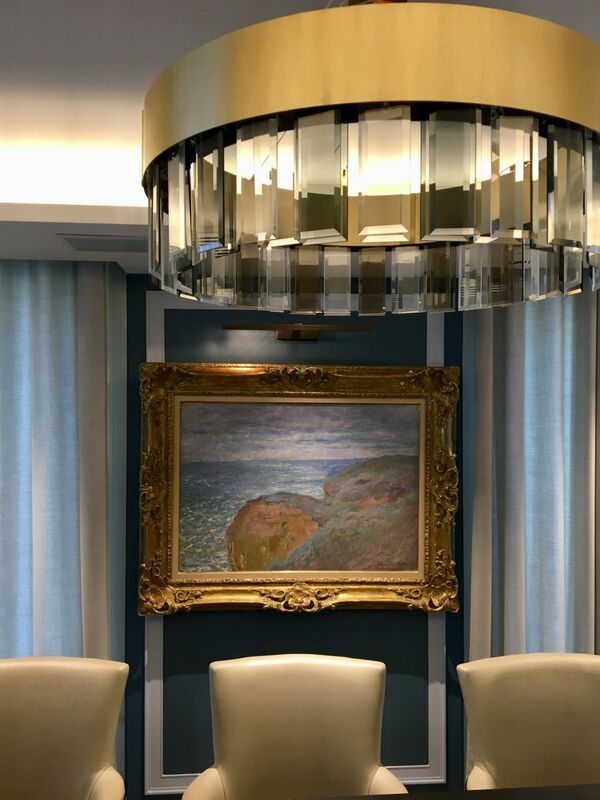 By listening carefully to their clients’ requirements and vision, the dedicated in-house designers and decoraters offer the most complete service possible; ranging from advisory to design proposal, through the ordering process, up to the final delivery and installation of art, furniture and lightening. In addition to our forward thinking and experienced team, we collaborate with an areay of world acclaimed Artists and architects. 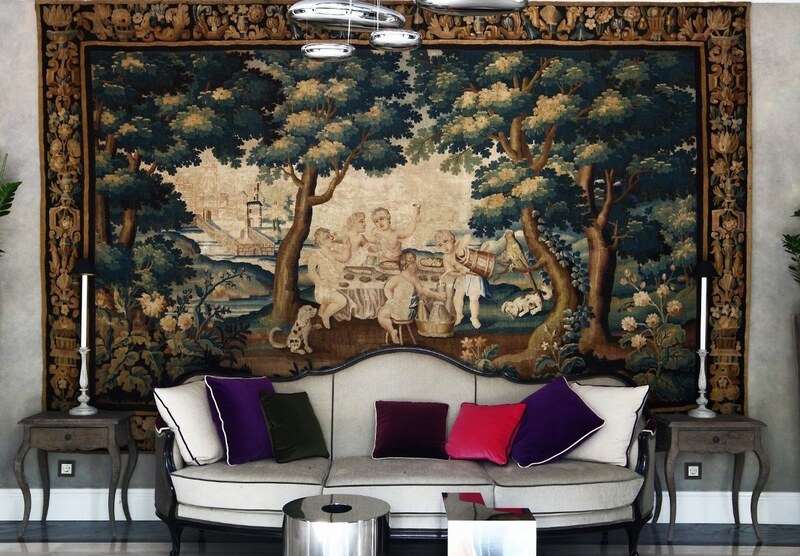 Drawing inspiration from the effortlessly chic Mediterranean lifestyle and Parisian “art de vivre”, we have developed a unique eclectic style, characterised by endless elegance in every detail, French approach and “savoir faire” in combining contemporary, modern and antique pieces to create a bespoke interior for our clients. 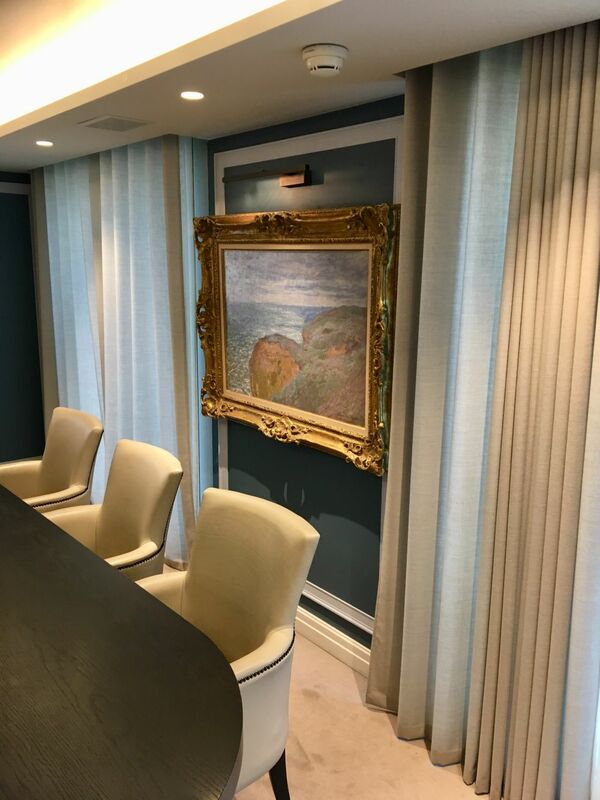 With residential and commercial projects in the United States, Europe, Russia and China, luxury apartments in Monaco and villas on the Mediterranean coast, our approach to design is marked by combining decoration with our passion for art. 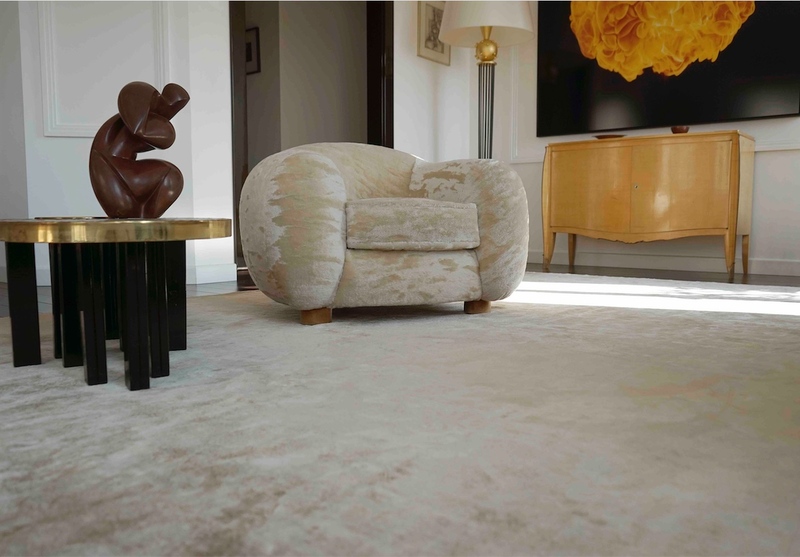 The projects attain a level of sophistication that develops from the juxtaposition of a well-edited contemporary art and furniture collection with an eclectic combination of 18th century through present day. Following French fashion brands like Louis Vuitton that has worked with the likes of Takashi Murakami and Jeff Koons, Hermès that has partnered with graffiti artist Kongo, or Agnès b. known for its tireless promotion of young artists, Krista Kim has now collaborated with Lanvin, the oldest continuously operating fashion house in France founded in 1889, on its Fall/Winter 2018-19 prêt-à-porter collection presented during Paris Fashion Week. 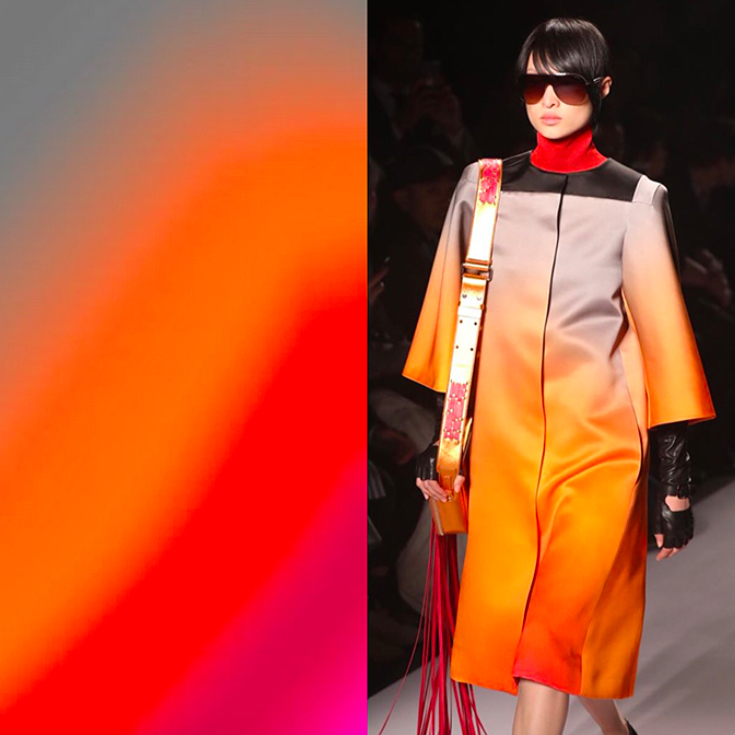 Sharing the Techism philosophy with Olivier Lapidus, the maison’s womenswear artistic director and initiator of the first e-couture label, Kim intends for the new collection to express a vision of what it means to be human in the digital age. Asia’s leading International Fine Art Fair - Fine Art Asia - is staged annually during the peak art season in Hong Kong since 2006. 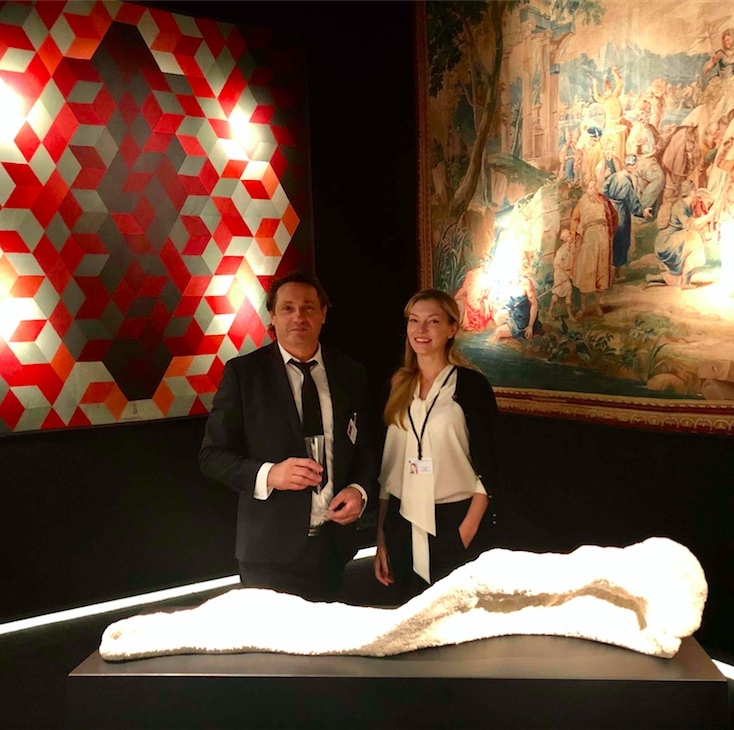 The fair coincides with major fine art auctions held in the same venue, and attracts a high-profile, sophisticated audience of major dealers, collectors, curators, connoisseurs and art lovers from all over the world. 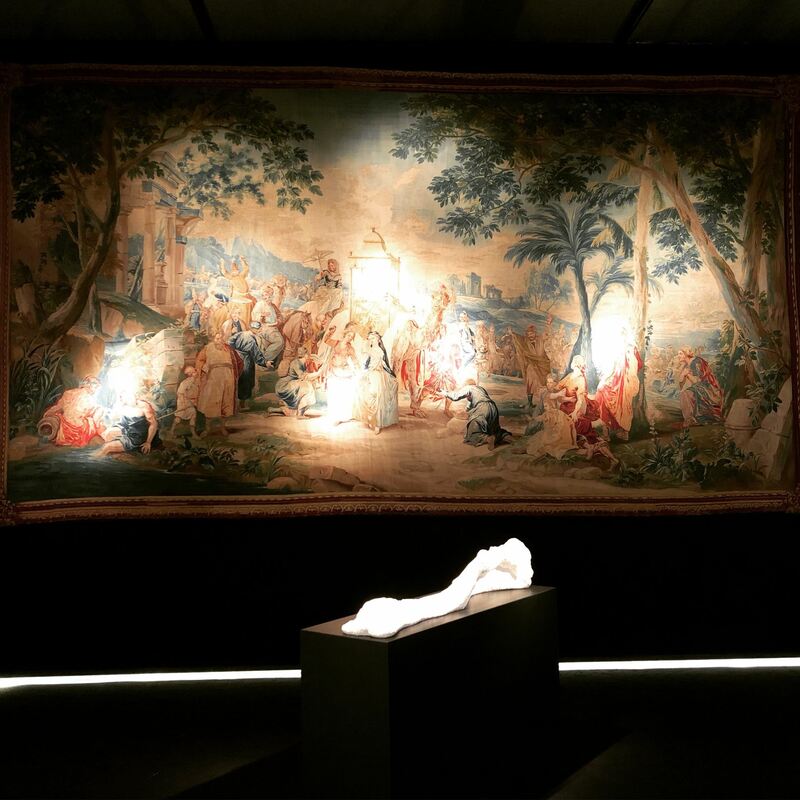 This year Fine Art Asia hosted BOCCARA, showcasing antique tapestries together with contemporary sculptures of Gianfranco Meggiato, Monique Rozanes and Wang Keping, as well as wall installations of Benjamin Shine and impressive art works of Leon Zack. 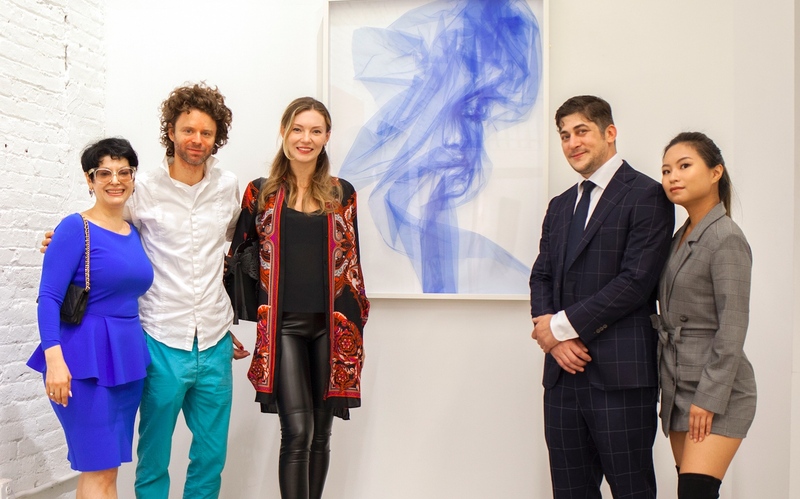 BOCCARA ART is pleased to announce the recent opening of its new location in Brooklyn, New York. 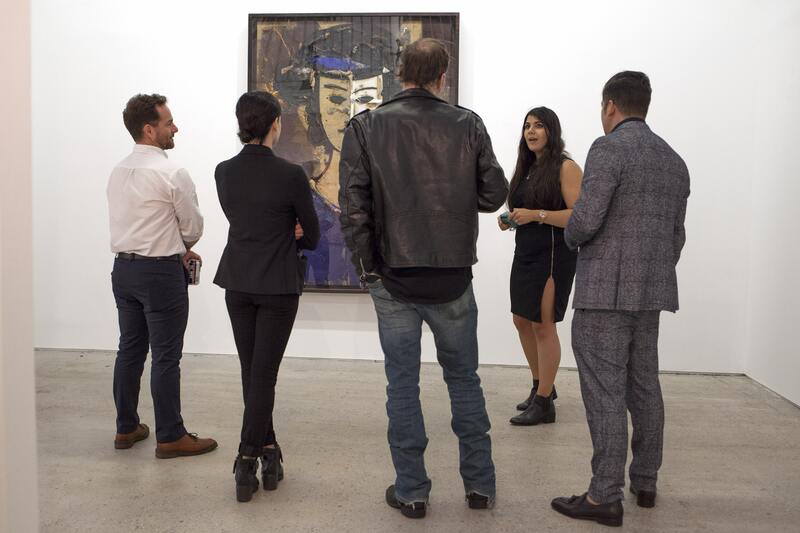 The gallery features an impressive two-floor exhibition space spanning nearly 500m2 (5,300ft2), and is minutes away from lower Manhattan. 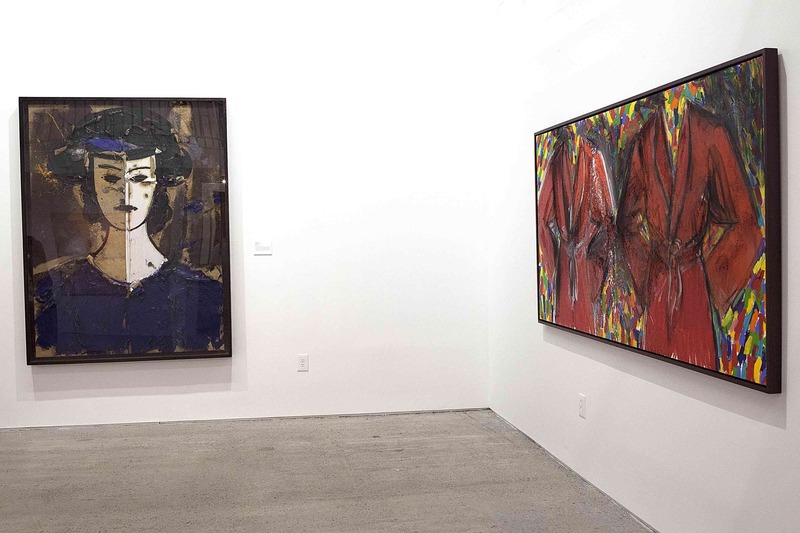 With its museum-like quality, BOCCARA ART Brooklyn Gallery highlights an important collection of historically influential artists from the 20th century, while simultaneously dedicating its space to emerging artists as well. Her works are the result of an instinctive expression that uses both the suppleness and firmness of an untreated, natural material, a simple non-bleached cotton. There’s something obsessive in the breathtaking work of Simone Pheulpin: the clarity and yet, the unpredictability of the countless folds inside her patterns, make for some intriguing textile sculptures. Some of her organic sculptures, made of stacked and twisted raw cotton, resemble sea shells; others transport the spectator to the inside of a wet-and-sun-dried book, while others bring to mind odd vegetal shapes —that evolution should make the effort to bring into existence in the natural environment. "From Bergdorf Goodman and Givenchy to Sotheby’s — and across much of the internet — artist Benjamin Shine’s ethereal work with tulle has made him perhaps the foremost fabric sculptor in practice today." New York Times. BOCCARA participates in MASTERPIECE London, June 27 - July 4, 2018 with it's wonderful collection of antique and Modern tapestries from XV-XXc. as well as contemporary textile sculptures by Simone Pheulpin. Masterpiece London is the must-attend event of London’s summer art season. Housed beneath a tented temporary structure in the grounds of The Royal Hospital Chelsea, Masterpiece showcases the best art, design, jewellery and antiques circulating on the market today. 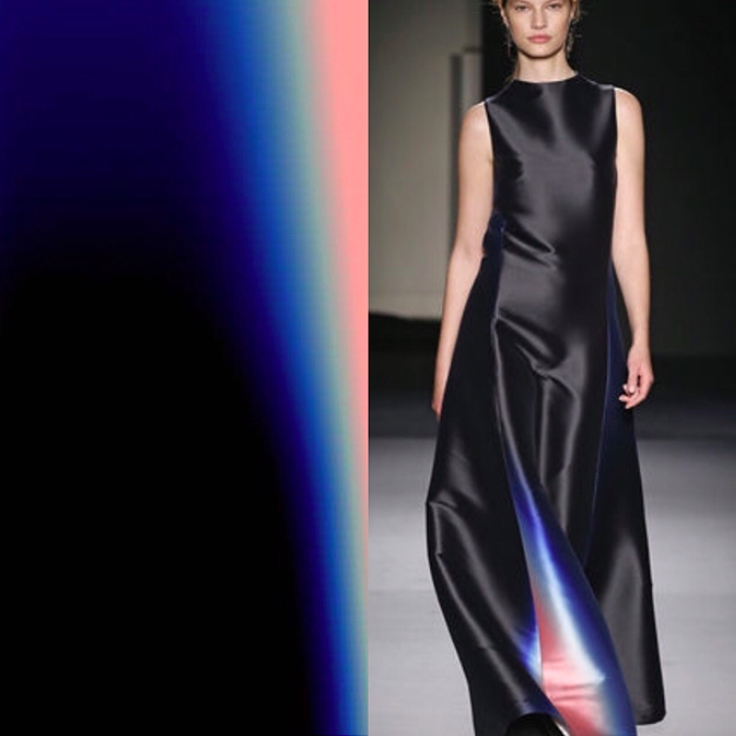 Didier Marien and Liubov Belousova - BOCCARA at MASTERPIECE, London. Claude Monet «Près Dieppe. Reflets sur la mer», 1897, on view at BOCCARA ART Monte-Carlo, April 20 - May 10. Claude Monet has long been considered not only one of the world’s most important Impressionist artists but one of the most influential artists of all time. A founding member of the Impressionist movement, Claude Monet was interested in direct observation and perceptual study, particularly depicting the effects of light and shadows. Monet’s love of the French coastline began in early childhood when his family moved him to the seaside town of Le Havre at the age of five, where the young Monet would skip school to roam the cliffs and beaches. However, the coast’s influence over his work only really began later in the 1850s, after a meeting with one of his great inspirations, Eugène Boudin. Another work from the Series « Près Dieppe », titled « Falaises Près de Dieppe » is in the collection of the Hermitage Museum of Saint-Petersburg. BAFA program - BOCCARA ART For Artists - was initiated by us for young talented artists. While BOCCARA ART features mostly historically important and blue-chip artists, BAFA is devoted to help emerging artists become knows and gain world-wide recognisation. BAFA has extended its presence to the whole world to present more talented artists from all countries and continents.